For those of you experimenting with the R language, take a look at this slideshow for some examples in the actuarial domain. After an introduction to Advanced R, we will, for the last part of our crash course, discuss visualization and graphs (following our previous set of slides). I just uploaded additional slides on regression models (you can go to my original post as well as other related posts here). 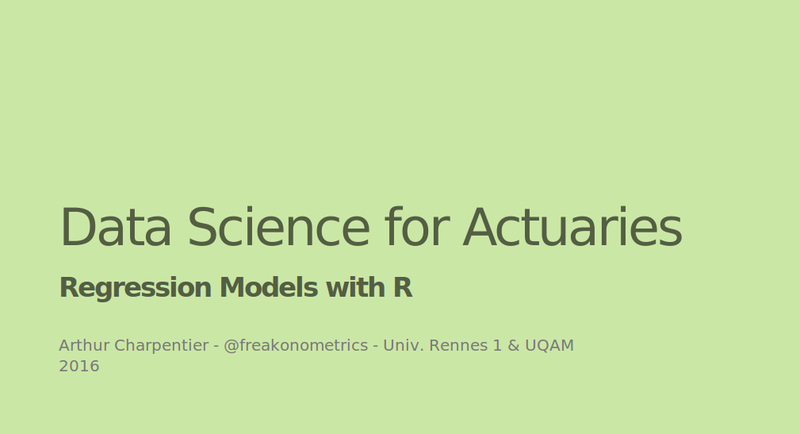 Click the image below to go to the Regression Models With R slideshow; use your arrow keys to navigate; and find out more about using R for actuarial applications.